The 5th Ashes Test ends for bad light with England chasing Australia's total. 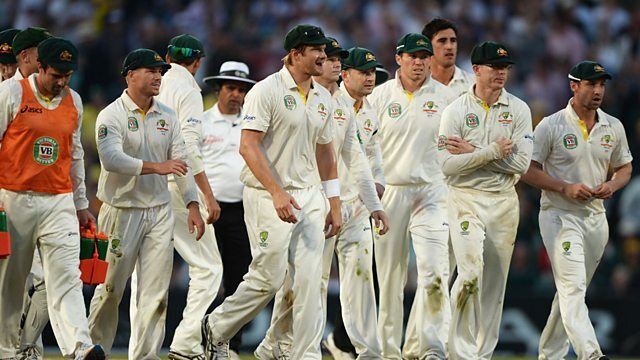 Highlights from the summer Ashes series between England and Australia. Why did a TMS listener get an Alastair Cook tattoo?